Click Here To View the Operation Manual. PRO1100E- 109,000 BTU - Pools up to 28,000 Gallons. 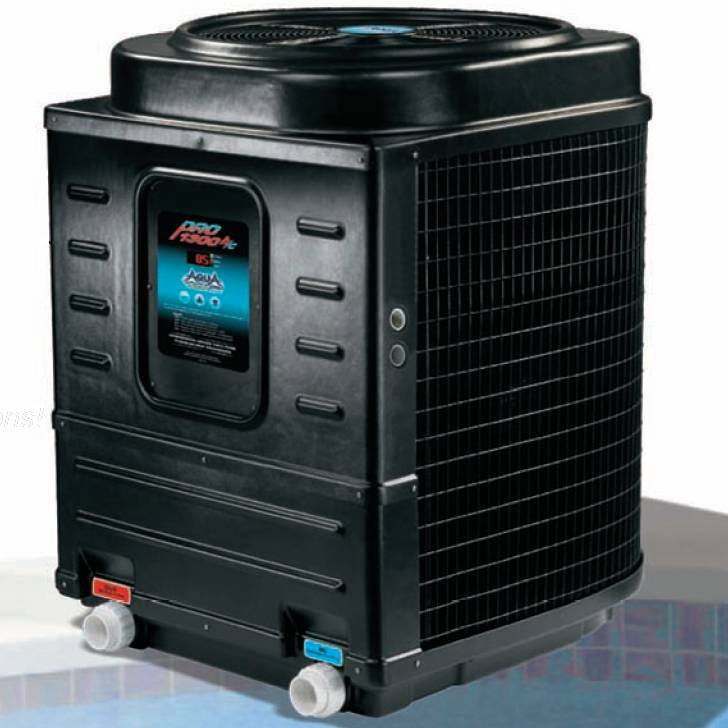 PRO1300- 125,000 BTU - Pools up to 35,000 Gallons. Self Diagnostic Codes for ease of diagnosis. Automatic defrost allows heating with outside temperatures as low as 38 degrees. Compatible with all known remote systems. Program the controller to eliminate the need for a time clock. Override any time clock to maintain desired temperature. Silent Series- innovative design makes this line of heat pumps virtually silent. Compact footprint- compact design will fit any size pad. ARI Certified BTU Rating System means all Aqua Pros heat output claims are factual & certified. Environmentally Friendly- efficient EcoAPEX design. Manufactured with quality in mind. Certified by ETL, UL, ISO9001 Quality. LIFETIME WARRANTY on Heat exchanger with no chemical exclusions.